Briggs Landscape Supply has been supplying central Michigan with decorative stone, boulders, sand and gravel for over 40 years. 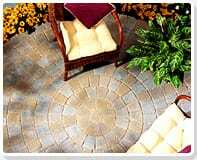 In 2004, they added a complete line of landscape supply items to their product line – including pavers, retaining wall, waterfall stone, mulch and many other specialty products for outdoor decor. Product can be picked up in the yard or delivered to your job site. Check out the large gallery of projects we have completed or delivered landscape supply to over the years. There are so many uses for our natural stone and varying mulch you won’t be disappointed when you stop by. Our prices are comparative to our competitors, however, our customer service and Christian faith will set us apart from anyone else.